Her ex-boyfriend was living it up in Beverly Hills on Saturday as he joined rapper Tyga for an expensive dinner. So it’s no surprise Selena Gomez was coy about being seen grabbing some cheap eats on Sunday morning. The 20-year-old tried to disguise herself as she purchased some junk food at 24-hour restaurant Jack In The Box. The star didn’t even have to leave the car as she took advantage of a drive-thru system. 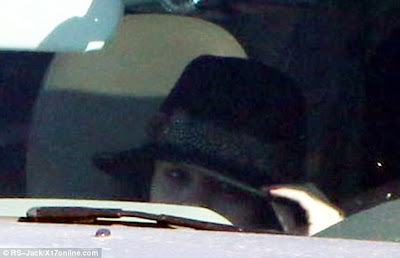 Selena tried to hide underneath a feather-embellished bucket hat as she sat in the passenger seat and kept her head down. 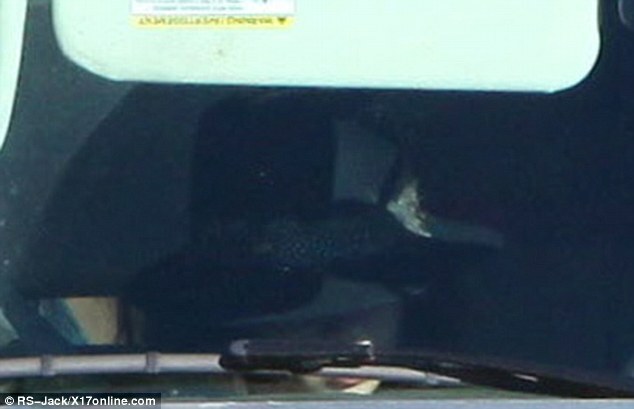 She also sought the help of a sun shade inside her part of the vehicle while another brunette woman focussed on getting her to her destination safely. While the Disney star had her choice of meaty breakfast burritos or hash browns, Justin was dining on extravagant seafood dishes the evening before at the swanky Crustaceans establishment. 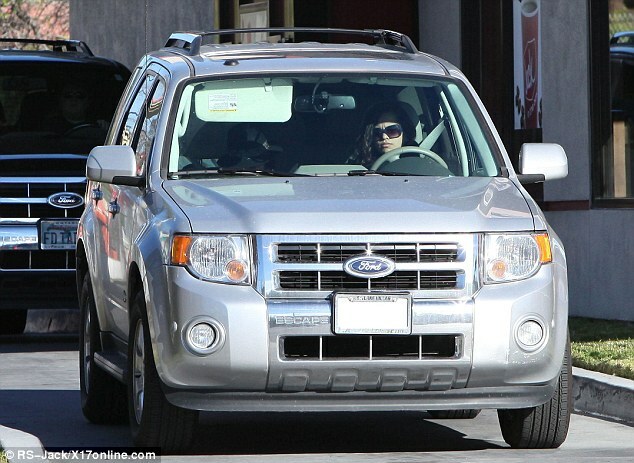 A woman believed to be Selena was spotted leaving Justin’s home in Los Angeles on Saturday morning. And she may even be refuelling after having spend a second night there since the split. The Spring Breakers star was said to have thought Justin was just too needy when they broke up, and would get hurt whenever he reached out to strangers for attention. However, Justin, who recently admitted he isn't in the happiest place right now, is still hoping to win her back and has been trying to get her to reconnect with him by listening to his new album Believe Acoustic. 'He keeps trying to get her to listen to his acoustic record... and she's just ignoring it, and him. She's over it,' an insider said. Selena recently revealed she is doing well since her split and has been focusing on spending time with her friends and working on her new album. 'I'm good. I'm really good. I've been recording, having a lot of fun with my girlfriends, having a good time,' Selena told E! Online. On Sunday, a member of Justin’s entourage allegedly threatened a man who took a picture of him. A law enforcement source told TMZ that he was shopping at a Best Buy store in the San Fernando Valley area when the adult male approached him. Apparently someone - who he thinks was a bodyguard - told him to delete the photo and after doing so felt threatened enough to ask for the help of police.